Description: This item measures 31/4" square and stands 31/2" tall from base to top of finial. 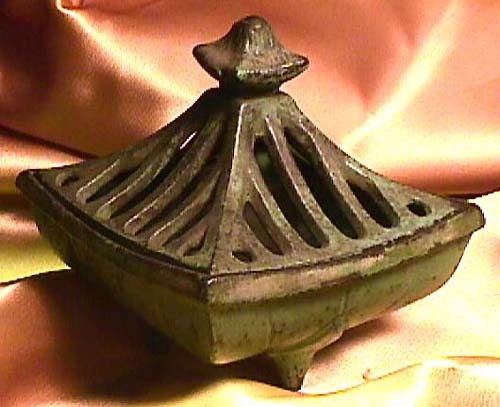 Description: This incense burner is 6 inches tall and the bottom is 2 7/8 inches square. It is cast iron. I could not find a maker mark. I believe it is probably made in Japan. It is very heavy and weighs 26 ozs. 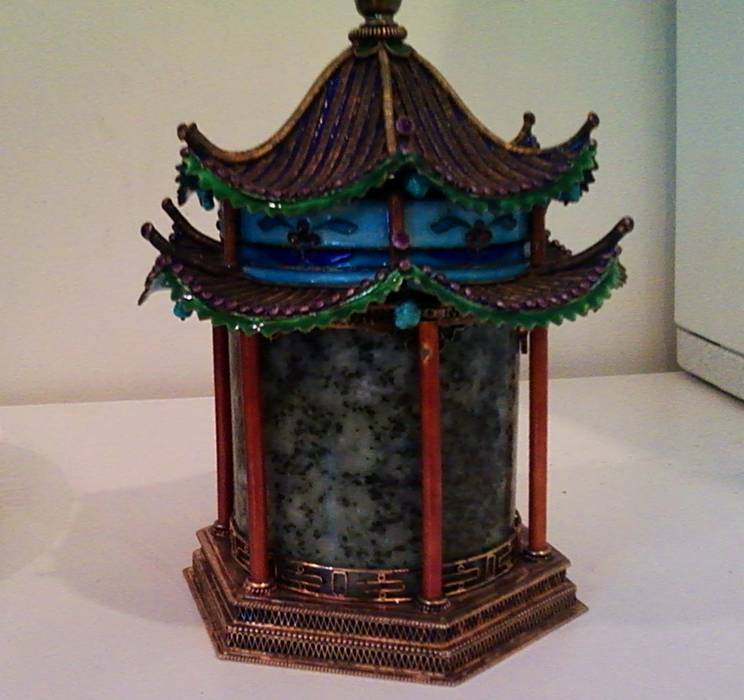 Description: Metallic Incense burner pot with a pagoda shaped lid. 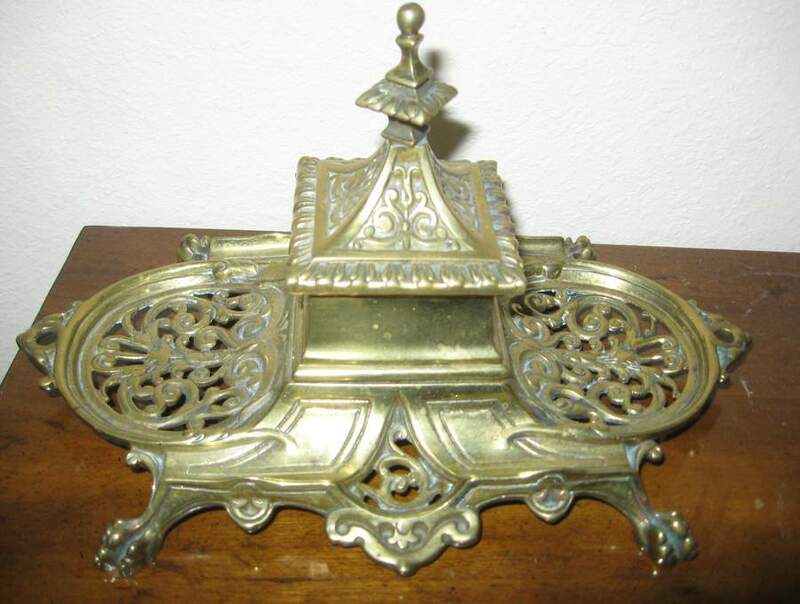 Description: It is brass with a pagoda lid covering a glass bowl. There are markings on it – a sun with rays and some letters. 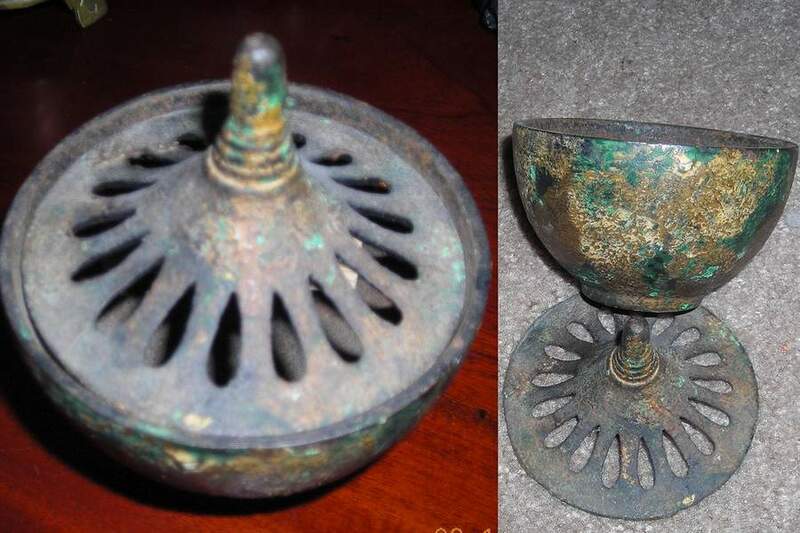 It could most likely be an inkwell. 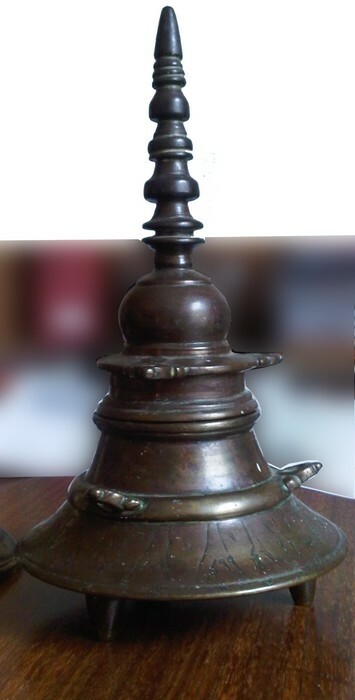 Description: Buddhist bronze incense burner, maybe from Tibet as traditional crafts often represent Pagodas in this country.